I haven't reviewed anything in a while so today we have three short reviews in one post. 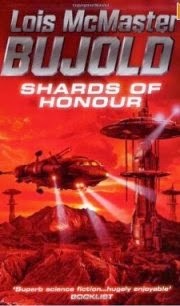 First up is Shards of Honour by Lois McMaster Bujold. Captain Cordelia Naismith is exploring a new planet for the Betan Astronomical Society when her ship is attacked by Barrayarans. The race is a warlike one whose ethics revolve around honour and battle. Cordelia finds herself stranded with the leader of the Barrayarans, Captain Aral Vorkosigan, and has to make her way to a supply cache with him and an injured colleague. It's a struggle lasting days and when it's over Cordelia and Aral are much closer than she would have expected. She's dismayed therefore to be treated as a prisoner when they arrive at their destination and thence on one of the Barrayaran ships. But things are not as they seem, there is clearly politics and scheming involved, and Cordelia has no idea whether Aral and herself are on opposite sides in the ensuing war, or the same. This is the second book by Lois McMaster Bujold that I've read recently, the first being The Warrior's Apprentice which is the first book about Miles Vorkosigan, Cordelia and Aral's son. Shards of Honour tells the story of how his parents met and is continued in Barrayar. This was altogether an excellent read. Cordelia is the sort of strong, resourceful female character I like to read about... every bit Aral Vorkosigan's equal and complementing him well with her more thoughtful approach to problems. There're quite a few plot twists, as the book progresses you can never quite guess what's going to happen and that for me was the joy of the book. I plan to read Barrayar next as I believe this deals with the problems of Miles's birth, plus the aftermath of a huge plot twist at the end of Shards of Honour. The series is about 16 books long and I'm hoping to get through quite a few of those this year. Shards of Honour is my 5th. book for Carl's Sci-Fi Experience and my 3rd. book for Bev's 2014 Mount TBR Challenge. 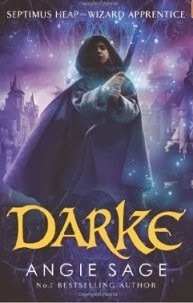 Next, Darke by Angie Sage. There's something strange, a dark presence, in the palace attic and Jenna, the princess in waiting, thinks it needs looking at. She approaches her friend, Septimus Heap, the Extraordinary Wizard's Apprentice, hoping he will look into it. But Septimus is about to enter Darke Week, a dangerous stage in his apprenticeship and, preoccupied, he dismisses Jenna's fears as unfounded. She's annoyed. They're both to be 14 soon and it seems to her that their former friendship is wearing thin - they're drifting apart. Unfortunately for Septimus, Jenna is right, there is something dangerous in the attic and before long it causes a Darke Domaine to swallow the whole castle. For the time being the Wizard's Tower is protected by magic but it won't hold forever. It's up to Septimus, his friends and family to do something to stop the entire magical world from being consumed. The answer is for Septimus to undertake one of his most dangerous missions ever. This is my grand-daughter's book, she's a big fan of the Septimus Heap books and owns them all. I've been borrowing them from her over the last few years and have read them all except the last two, books 6 and 7. I find it odd that this excellent series by Angie Sage doesn't get more publicity than it does. It's a terrific series, has a lot of imagination, a lot of humour, a lot of 'soul', and a really convincing world has been created. The early books are aimed at readers of around 9 to 12 but these later books, because Septimus and Jenna are now older, are longer with more depth and can be enjoyed by anyone. I thought this one was terrific and am sorry I now only have one book left to read. Of course the answer is to go back and read them all again and that idea appeals a lot. In the meantime, if you have kids and they like YA fantasy and haven't tried this series... well a treat is being well and truly missed. 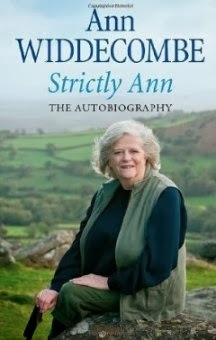 Lastly, Strictly Ann by Ann Widdecombe. Ann Widdecombe is well known in the UK as a former Conservative MP and Cabinet Minister, though these days she's probably just as well known for being a contestant on Strictly Come Dancing in 2010. 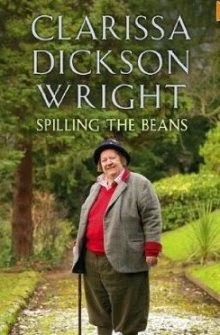 Her autobiography charts her early childhood - as the daughter of a high-ranking naval officer she spent several years in Singapore, then back to England to be convent educated, though the family were not Roman Catholic. She then went on to Birmingham university and subsequently Oxford where she was active in political debating circles etc . All Ann ever wanted to do was be an MP but it doesn't happen overnight and she spent many years working at normal jobs before eventually getting nominations to be various constituent's conservative candidates, eventually winning Maidstone in Kent in 1987. I enjoyed much of this book but found it dragging slightly from time to time. Her childhood was interesting, unlike many you read about it was happy and unblighted by anything nasty. I enjoyed descriptions of her life in Singapore and of her school-life in the convent. Where it dragged a bit was in the amount of politcal detail. I knew it would be there because, after all, if you're going to read a book about a political animal that's what you're going to get! So it was fine and much of time also quite revealing. Things are never as they seem and Ann often gives famous events a different slant, which makes you realise that reporting in newspapers and on TV often gives the reader or viewer an entirely wrong impression about what is going on. A little alarming sometimes. I don't always agree with her opinions (she was anti female priests for instance) but I like her forthrightness in expressing them. My favourite chapter, shallow as I am, is the last one where she tells of her experiences on Strictly Come Dancing. She clearly had huge fun and gave a lot of people a lot of pleasure. All in all, not a bad autobiography at all. 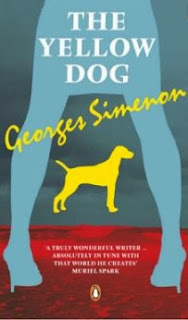 My first book for the Vintage Mystery Bingo challenge, being hosted by Bev at My Reader's Block, is The Yellow Dog by Georges Simenon, one of his many books about Superintendant Maigret. It gave me a slight problem because the bingo card has many categories and it fitted several, including 'Book set anywhere other than the US or England' and 'Book with a colour in the title'. In the end though I settled for 'Book with an animal in the title' as it seemed to me this was a more difficult category to fill. (I've already read The Hound of the Baskervilles.) Anyway... my first Maigret book in many years, what did I think of it? Maigret is called to the town of Concarneau on the coast of Brittany in France. 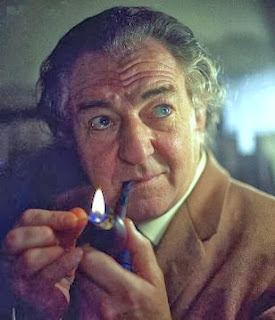 A man making his way home from the bar of the local hotel, slightly drunk, stopped to light a cigar in the porch of an uninhabited house and was shot through the letterbox. It seems the man is one a group of well-to-do cronies who drink together in the hotel bar. On arrival Maigret senses instinctively that these are the kind of men who have secrets and that the barmaid, Emma, might well be involved. Within a few days poison is found in two of the bottles of liquor that the group drinks. No one is harmed but panic sets in, not only among the group but the townspeople too. A yellow dog is seen hanging around but apparently belongs to no one. Is the dog some kind of bad omen? It appears it might be when another of the group disappears and his car is found riddled with bullet holes and blood spattered on the seats. Then one of the group is found dead at home, poisoned. Maigret plays a waiting game. There's an unknown factor at work and he knows it will eventually come to light. The problem is preventing rising panic, keeping the mayor at bay, and controlling the press hordes. And where exactly does the yellow dog fit into all this? It's so easy to forget how good some of the vintage crime authors were. Georges Simenon apparently wrote over 200 books - not all of them Maigret titles by any means but about 100 were. That's quite an acheivement but like many authors Simenon thought of his popular books as the wage earners which gave him the time and money to write his more serious books. My first experience of the French detective was actually not in a book but on the TV. Actor, Rupert Davies, played Maigret from 1960 onwards and the BBC made 52 episodes. In our house this series was a 'must see', and I remember the series being absolutely excellent. I can't remember when I began to read some of the books, I think possibly in my twenties I may have read the few that the library had. I had no idea there were so many but I do remember really enjoying them and finding them surprisingly funny. When I started to read this one I wondered if I would like them as much as I did back then. I needn't have wondered... the books are every bit as enjoyable as I remembered. The setting for this one is a storm-swept French coastal town that I've actually been through, Concarneau, and the book really does evoke the atmosphere of a place miles from anywhere in the middle of winter. 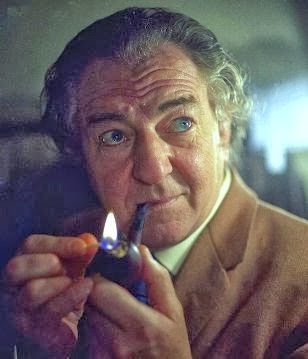 Maigret himself is a bit of an enigma. He bides his time with his investigations, never tells anyone what he's thinking and then suddenly has all the answers at the end. Details the reader could never have imagined emerge and suddenly everything makes perfect sense. It surprised me how many of the reasons for crime are still relevant today... this book was written in 1931 and apart from one pertinent detail could easily have been written today. One thing did strike me as I was reading about France in 1931, and that was that their country was going to be invaded in eight years time and of course the author had no thought of any such terrible thing happening. I wonder if any of the Maigret books written between this one and 1939 have any mention that that might happen. Anyway, to finish here's a lovely painting I found on the Metropolitan Museum of Art, New York site. The fishing fleet was mentioned quite a lot in The Yellow Dog and this painting is very evocative even though it was painted 40 years before the book was set. 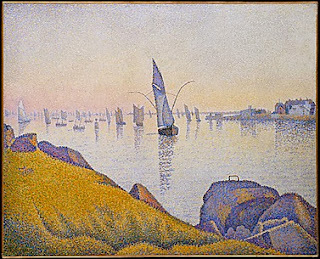 It's called Evening Calm, Concarneau and is by Paul Signac. 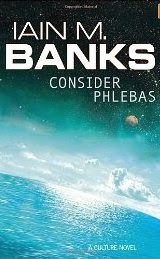 Anyway, the book is Consider Phlebas by Scottish author, Iain M. Banks. A galaxy-wide war is raging between the Idirans and The Culture and has been going on for four years. The Idirans are an alien culture based on strong religious beliefs. The people who make up The Culture are of mixed heritage but tend to be more human based. They are very laid back in their approach to life believing strongly in not foisting your opinions or way of life onto others. They also rely heavily on a machine based technology. Bora Horza Gobuchul - known to all as Horza - is a Changer, meaning he can take on the appearance of any humanoid he chooses, but not immediately, it's a gradual process that takes place over weeks. His natural appearance is human. When the book opens he's a prisoner about to be executed by drowning but is saved in the nick of time by the Idirans. It seems he's an Idiran spy and they have a job for him. The Culture's space vessels are run by 'Minds', basically computers which have a physical presence, and one of them escaped its ship in an attack and has taken refuge on Schar's World, a Planet of the Dead. The Idirans want Horza to go and fetch it so they can examine it and gain some technological advances. I gave this a three star rating on Goodreads and am wondering if I may have been a bit mean. If there was a three and a half star option I would have chosen that because this was not a bad read at all. I just wish I had loved it rather than 'liked it'. It had all the right elements - it was imaginative, inventive, a roller-coaster type of a plot and so on. But somehow or other it just didn't do it for me and I'm finding it hard to put my finger on why. It's possible I just didn't connect with Horza. I was never really sure whether he was good, bad or somewhat indifferent. I know this is quite true to life, people do tend to be a mix, but my feeling was that he didn't care very much about anything and I found that off-putting. The world-building, however, was superb. To be honest I think it's what kept me reading. I almost gave up I must confess, partly due to the small print of the book but also for my taste (your mileage may vary, as they say) the writing style was too meandering, too much superfluous detail. I felt the book wouldn't have harmed to lose 100-150 pages. Others would strongly disagree, I realise that! However, as I said, the world-building, or 'galaxy building' was excellent. For me the most interesting section was that of the Orbital world, Vavatch, which was mainly a huge ocean kept in place by giant walls. I imagined it like a giant polo mint, not sure if I got that right but it worked for me. A whole book set there would have been fine by me as that was by far the best and most interesting bit of the book. It's an odd thing. Helliconia Spring by Brian Aldiss was equally as long as this book, in fact I think it may have been longer, but I didn't get bored once. Never felt the amount of detail (and there was a lot) was too much. Never found myself skip reading paragraphs. Was not glad to get the end. I know a lot of people think Banks' Culture series is the bee's knees in science fiction writing and I'm not disputing the quality of the writing 'at all'... he was (he sadly died last year) an amazing writer. But for me, something was missing. I can't work it out, I really can't, and will just put it down to individual taste and leave it at that. Will I read any more in the series? I don't know. I'm intrigued by The Culture and may well pick another book up but the gaming plot of the next one doesn't really appeal. If I come across something in the library I may grab it and try it. It could be that I might like other books in the series a bit more as I'm not sure it's a continuous series, but more a series of unconnected books based in the same universe - a bit like Ursula K. Le Guin's Hainish books. All in all a good solid read for the Sc-Fi Experience but not my favourite of the four I've read so far. It's been rather strange watching The News this past few days with news of the bad winter being experienced in Canada and much of the USA. Strange because it's coincided with my first book for the 2014 Mount TBR challenge which is being hosted by Bev at My Reader's Block. That book being The Long Winter by Laura Ingalls Wilder, I've not only been reading about snow and blizzards but seeing the reality on the TV! Heeding the warning, Ma and Pa decide to move the family from the shanty on their claim back into their more solid home in town. Laura and Carrie must now go to school, Mary of couse cannot as she is blind. The two girls are nervous about school but soon settle in. But it is while they are at school one day that another blizzard hits. The children and teacher have to find their way back to town... it's not far but in a white-out the trip is frightening and hazardous. But this is only the beginning of the long winter. Things will get much, much worse as the little town on the prairie is cut off from the outside world for seven long months. What a brilliant little book this was. I don't think I've ever read better descriptions of how it feels to be stranded in snow and blizzards than this. Laura Ingalls Wilder must surely have lived through something like this to be able to write about it so convincingly. 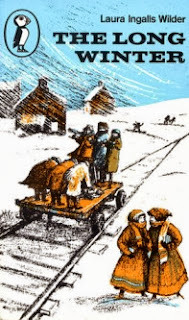 It's all there, from the terrifying and monotonous sound of constant wind, of trying to keep warm in a house that of course had no central heating... and what happens when the train can't get through and the town runs out of coal. Pa and Laura end up twisting stalks of hay to burn. This is hard, grinding work in freezing temperatures, but they must do it or the family will freeze. And then there's the problem of food. They don't have enough for seven months so what will they do? There are scenes in this book that are so well written that I was as scared as the characters being written about. A small scene near the start when Laura and Carrie take a short-cut through the slough and get lost for instance. The one already mentioned when the children are being led home in the first blizzard. In another scene Alonzo Wilder and another lad go out onto the prairie between blizzards, trying to find a farmer who may have wheat they can buy for the town. It's terrifying quite frankly... they could easily get completely lost in a frozen wasteland or caught in the next blizzard and die of exposure. Really this book is a tribute to the close unit that is family. Or what a family *can* be if all members pull together for the common good. The Ingalls are amazing people. Too good to be true? Well, possibly. But I don't mind that, there are others in the book who are not as good so there is contrast and friction to be found within the pages of the story. I was sorry when the book ended, I had loved it that much. Sadly this is the last of these books that I own. I'll have to buy the next one, The Little Town on the Prairie, which I will do as I want to know how Laura goes about teaching to earn money to send Mary to a college for the blind. The temptation is to buy myself a boxed set of all nine books as I know I'll want to read them again soon. I'd like to ask if there is anyone who is currently having a problem commenting on Wordpress blogs? I don't know why but Wordpress seems to go through periodic bouts of not allowing me to comment on its blogs. Usually it's just one or two but now it's all of them. I decided to Google this just now and it seems it's not uncommon for Wordpress to randomly shove blog comments into people's spam boxes. Penny at Life on the Cut Off and Robin at A Fondness for Reading both checked and lo and behold there my comments were - in their spam boxes. I gather there's no cure for this, I just have to wait until Wordpress gets its knickers out of a twist. Apart from Penny and Robin there're other Wordpress blogs I comment on... Margaret at Booksplease and Danielle at A Work in Progress to name but two. Until this solves itself I'll probably not be commenting on these blogs. I'm really, *really* sorry about this as I love these blogs and their delightful owners, but I can't keep pestering people to say that I've left a comment and can they please check their spam boxes. It makes me a pain in proverbial. Hopefully it won't be too long before this rights itself. I'll test again in a week or so. I'll say one thing though... Blogspot might not be perfect and I've been known to moan about it, but 'nothing' would ever convince me to change my blog over to Wordpress.